The flat is in a central location so it is easy walking distance to all the attractions. The flat it’s self was very clean and well presented. Although there are no staff around all the time this isn’t an issue as you are given a phone number and they always pick up their phone. We had no issues during our stay and no complaints. The apartment was extremely clean and tidy – even in the opinions of three neat-freak people I went with. The staff were very friendly on the phone every time we spoke. The cost for four people would have been much higher, and much worse, if we have stayed in a hotel. Great short work to the city centre without feeling like we were in the middle of it. Excellent, central location. Very enjoyable stay, apartment was clean and comfortable and had all the facilities that we required. Apartment very comfortable and location could not be better. We loved not using a car! Furnishings and appliances great. Would have been great to have had access to a washing machine and as mentioned by others the heat at times was almost unbearable . BH weekend was a scorcher and the flat was a consistent 27 degrees! Fans much appreciated and they blocked out unwelcome traffic noise. Double glazing would be worth considering given location as for some would be very oppressive. But all in all I would recommend the apartment . Lovely to have milk and a few sundries provided and all felt very secure. Flat was perfectly clean with lots of added extras such as slippers, tv in every room, welcome hamper and toiletries. Included modern features like iPod docking station, whirlpool bath and fast wifi. The location is perfect as it is very central but not noisy at night. Would definitely stay again. This was a well appointed apartment, centrally located, and truly comfortable. An ideal base for our weekend with comfortable beds and sofas to relax in. Fantastic accommodation with everything you need and very clean. Lots of extras, welcome pack, dressing gowns, slippers, spa bath, just lovely and unexpected for the very reasonable price. Lesley was very easy to deal with and was very friendly and helpful. The only things missing was parking but in such a great central location in York, you can’t have everything. Will certainly be back again. The apartment was home from home with nothing spared, even sweets/chocolate in reception areas. The small basket with sundries to begin our stay like milk, coffee, tea, biscuits etc even wine was found to be a god-send on arrival. We will be back in York when the weather gets a little nicer and will be contacting this accommodation again. 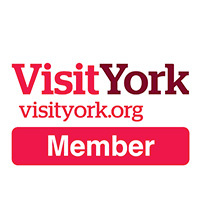 I would recommend to anyone wanting to visit York and it’s many wonderful attractions and wanting lovely, comfortable accommodation. Thank you so much for the use of your apartment. St George’s Keep is centrally located in York. The unit was clean, well presented and well equipped. 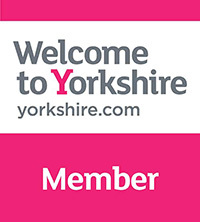 I would stay there again if visiting York and would recommend it to others. Excellent, finishing touches and welcome basket made it home from home. Good amenities , spotlessly clean and close to centre, shops, bars and restaurants. Within walking distance to train station. Easy to book, confirmation and instructions sent regarding collection of apartment keys. Would definitely stay again in the future! The apartments were lovely, clean and comfortable. The location was perfect for us to get easily to all of the main attractions that we wanted to see. I have stayed in many apartments, b and bs and hotels over the years both in the UK and abroad and I really cannot find anything negative to say about this apartment. I have no hesitation in recommending them. Everything was really well thought out in the apartment and we had everything we needed, and the welcome basket was a lovely touch. These are really well thought out luxury apartments and we will definitely return. From the moment of arrival St George’s keep is welcoming. Jo and Lesley are smiling and friendly and they and their husbands have gone the extra mile in providing high class self catering accommodation. They set out to create apartments that they would like to stay in, and they have succeeded. These apartments would be very comfortable and convenient for long stay lets. Everything you need is provided and everything is of a really good standard. There is efficient security. Altogether this is the best accommodation we’ve stayed in and we’ve travelled wide in this country and overseas. It’s new, but I bet it becomes a firm favourite with everyone who gets to hear about it. Everything is finished to a high standard, and is empathetic to this 150 + year old building. Bang in the centre of everything you won’t find better, and the final touch is the sweeties at the main entrance! Thank you, St George’s Keep. You deserve every success. See you again. Fantastic, beautifully furnished apartments in central location. Everything we could possibly want and more. Would definitely stay again and have already recommended the apartments to a number of friends. We stayed over a long weekend and the apartment was perfect. Very clean, comfortable and well furnished. A welcome pack was a lovely surprise. We were able to get in early and leave luggage for a later departure which was very helpful. Would recommend these apartments and will definitely go again. A very modern apartment in a great Central Location. Arrived on a Saturday afternoon and settled in very quickly for a long weekend. Greeted with a personal welcome and a very well stocked welcome basket. Our Apartment was clean fresh and modern. I would recommend these apartments more for couples or friends or families with older children who can fully take advantage of the great facilities and Great Location. Oh……….and the Hilton York is just around the corner and costs a Damn site more..